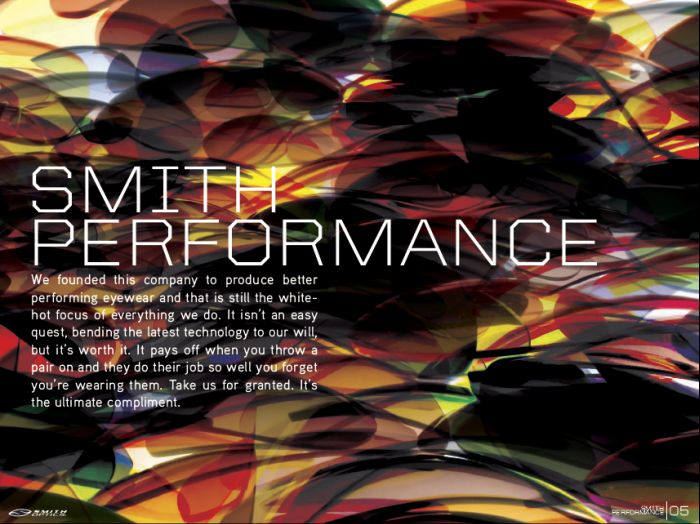 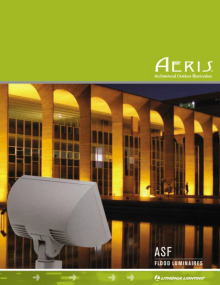 Smith 2007 Brand Book - Descriptive, brand positioning copy for the Smith 2007 Brand Book. 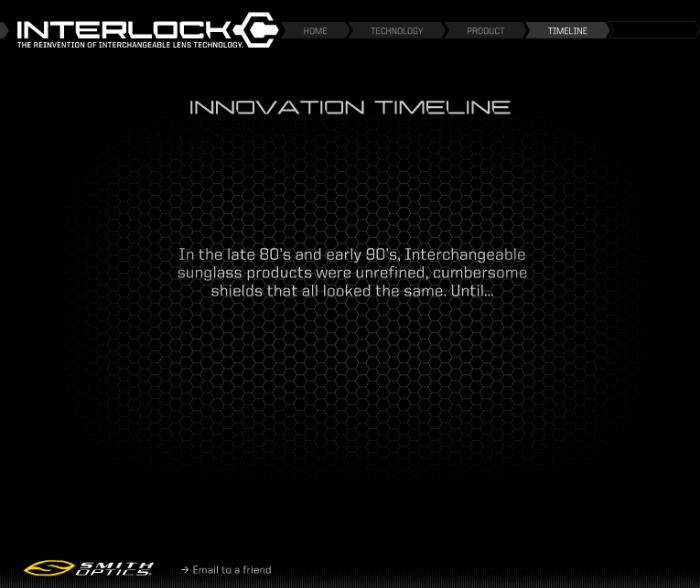 Smith Interlock - Microsite Homepage - Smith microsite touting the features and benefits of Interlock system - The reinvention of interchangeable technology. 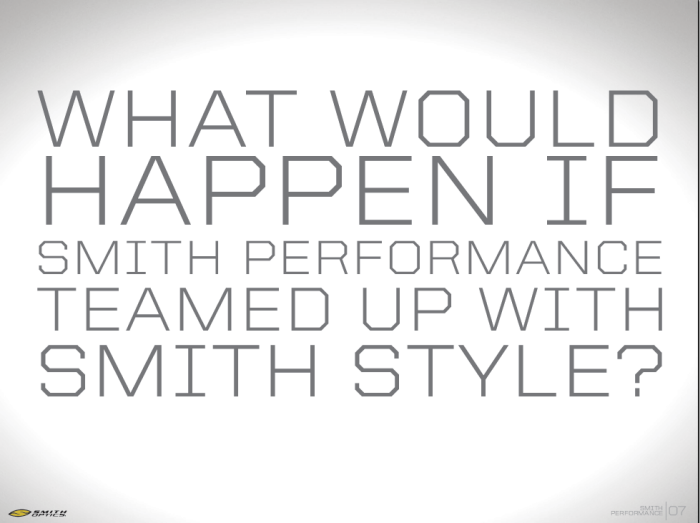 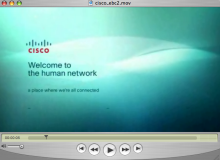 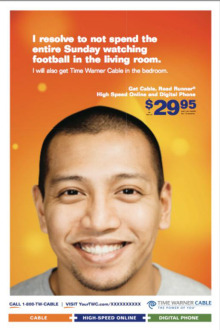 View it in action at www.smithinterlock.com. 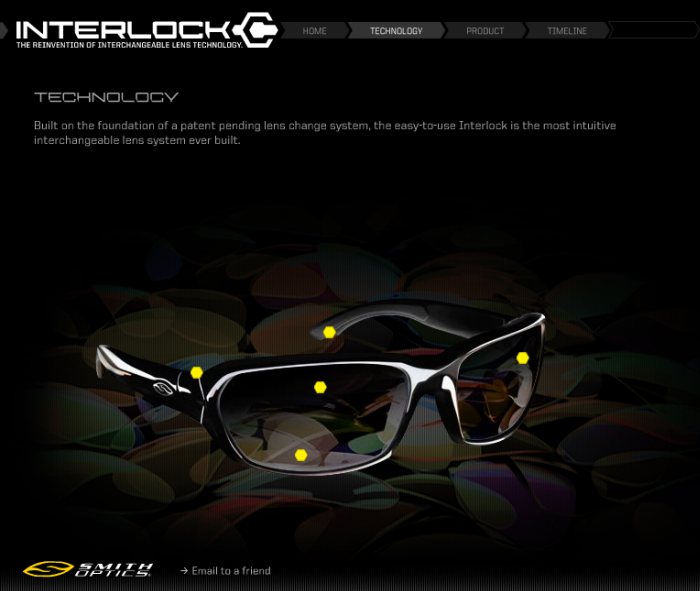 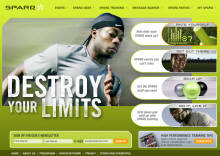 Smith Interlock - Microsite - Smith microsite touting the features and benefits of Interlock system - The reinvention of interchangeable technology. 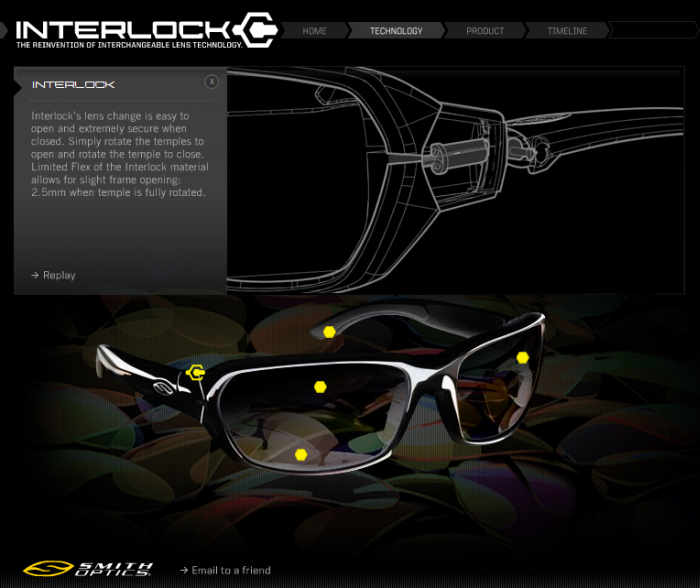 View it in action at www.smithinterlock.com. 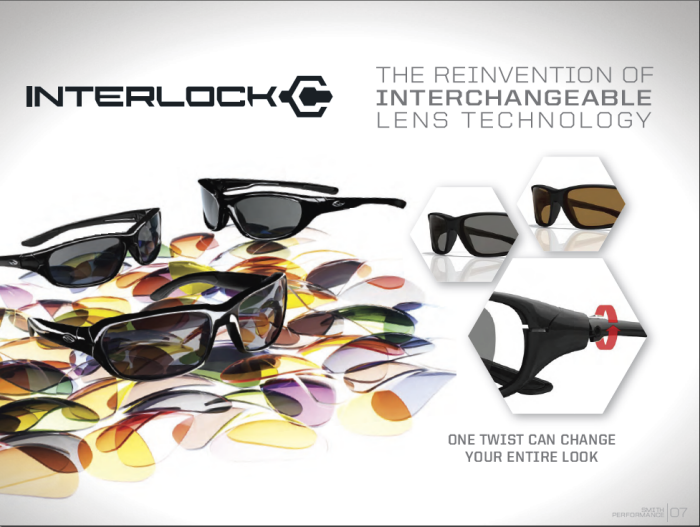 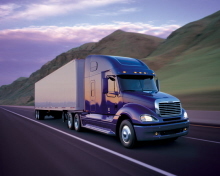 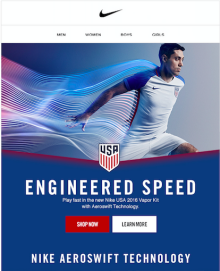 Smith Interlock - Microsite: Technology callouts - Smith microsite touting the features and benefits of Interlock system - The reinvention of interchangeable technology. 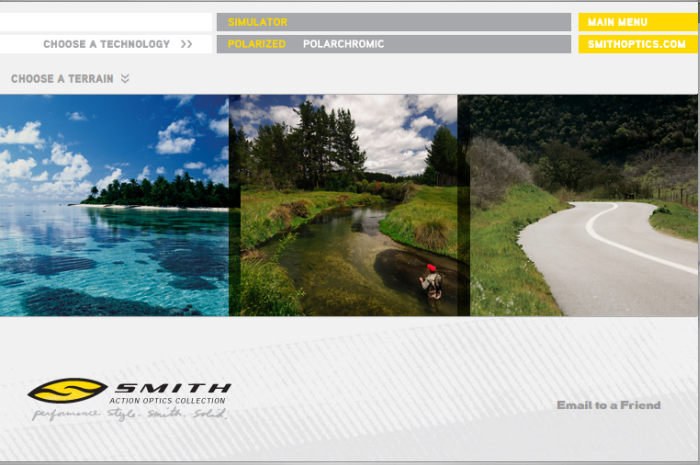 View it in action at www.smithinterlock.com. 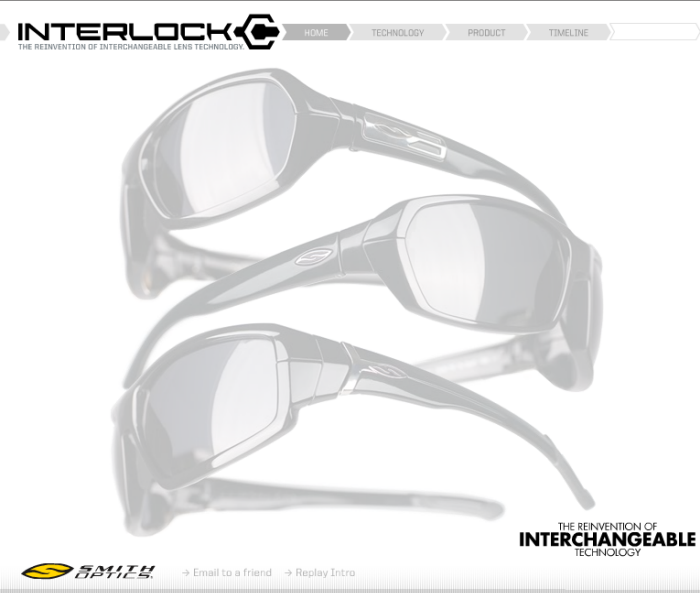 Smith Interlock - Microsite: Product - Smith microsite touting the features and benefits of Interlock system - The reinvention of interchangeable technology. 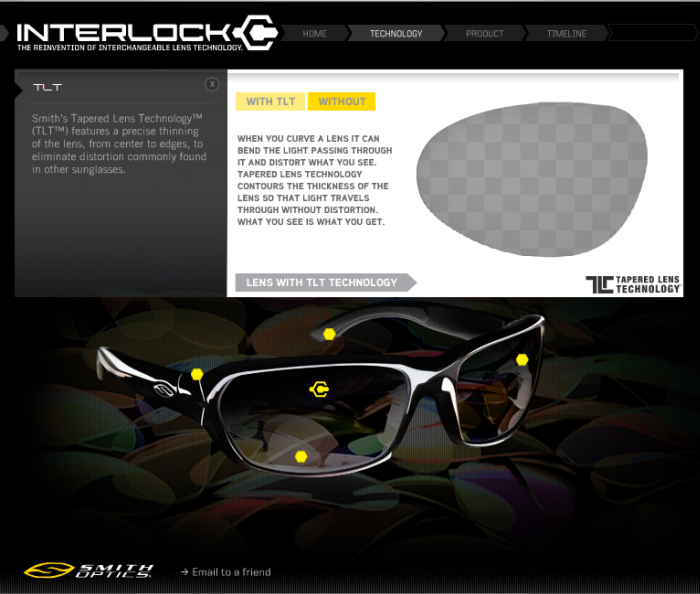 View it in action at www.smithinterlock.com. 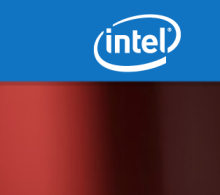 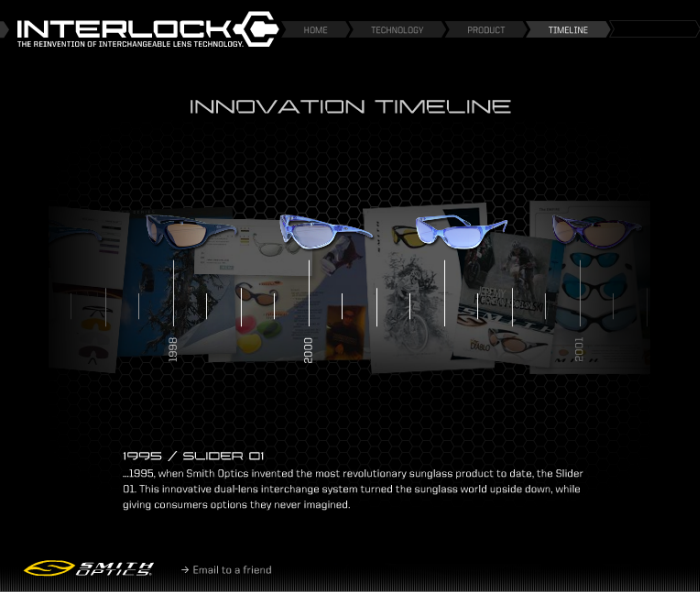 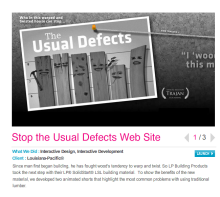 Smith Interlock - Microsite: Timeline - Smith microsite touting the features and benefits of Interlock system - The reinvention of interchangeable technology. 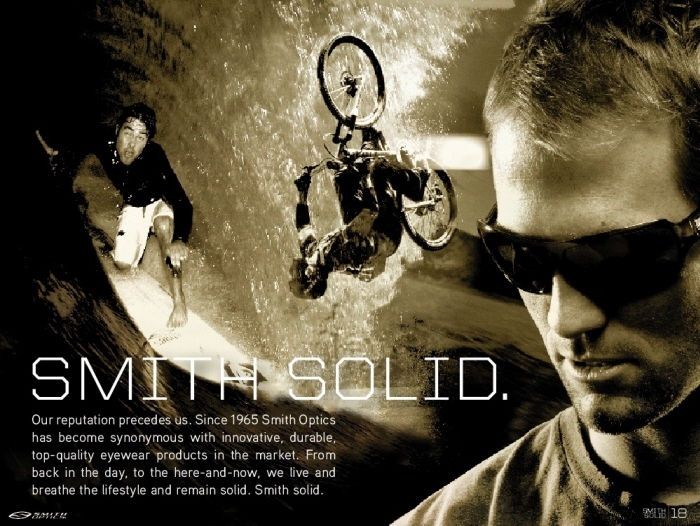 View it in action at www.smithinterlock.com. 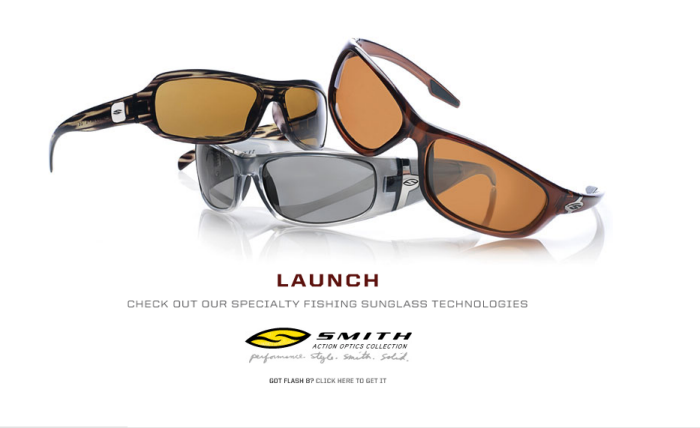 Smith Specialty Fishing Technology Microsite: Launch Homepage - Microsite and interactive tools to demonstrate the features and benefits of Smith Specialty Fishing Sunglass Technologies. 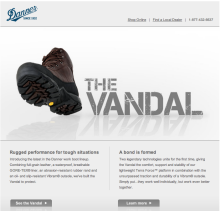 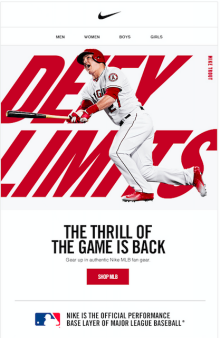 Check it out at www.lookgoodseefish.com. 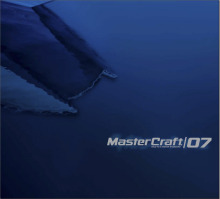 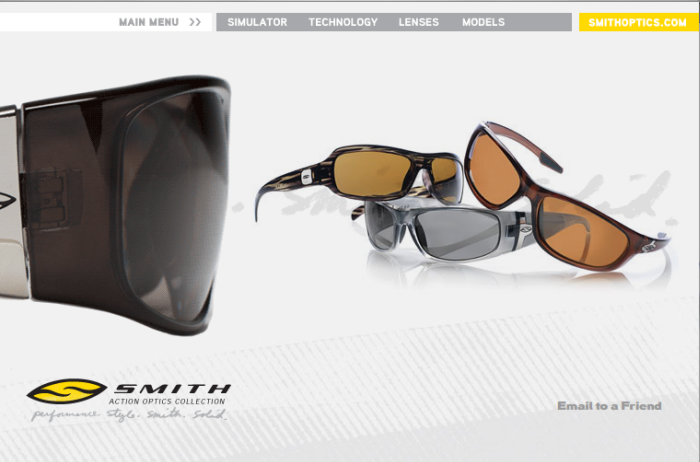 Smith Specialty Fishing Technology Microsite: Main Menu - Microsite and interactive tools to demonstrate the features and benefits of Smith Specialty Fishing Sunglass Technologies. 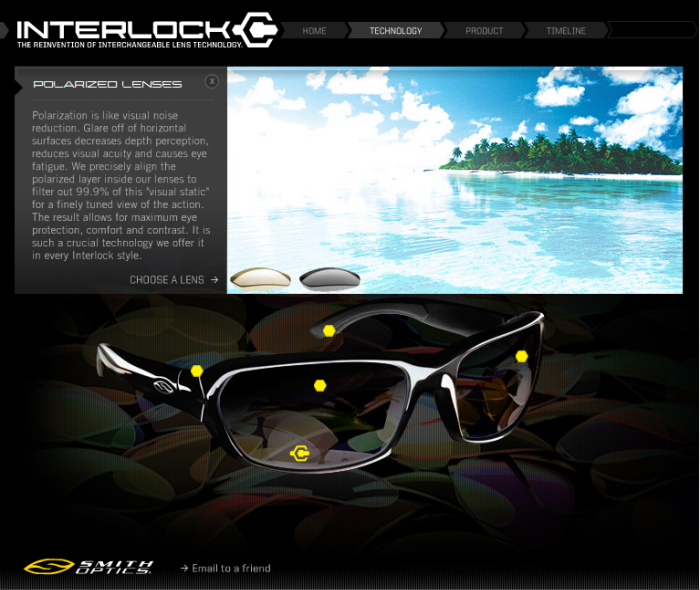 Check it out at www.lookgoodseefish.com. 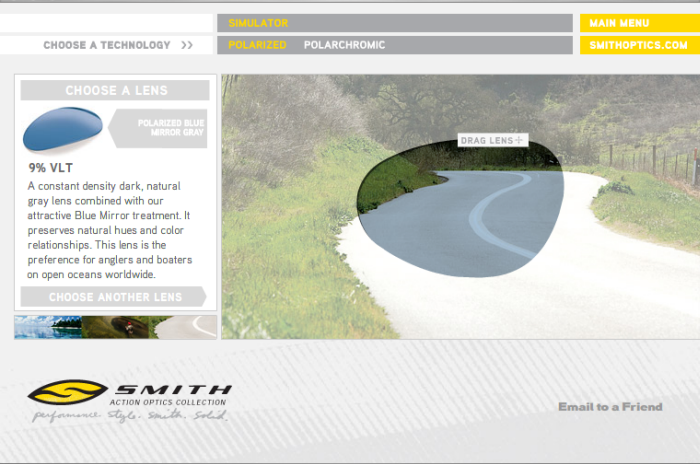 Smith Specialty Fishing Technology Microsite: Choose a Lens - Microsite and interactive tools to demonstrate the features and benefits of Smith Specialty Fishing Sunglass Technologies. 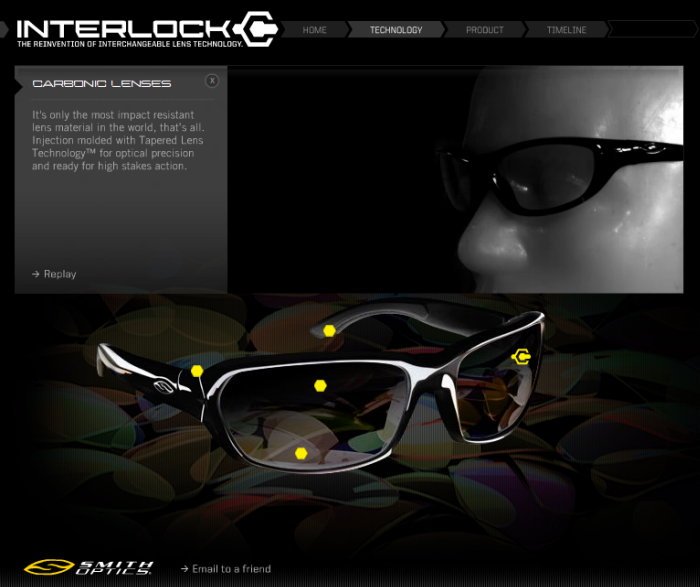 Check it out at www.lookgoodseefish.com. 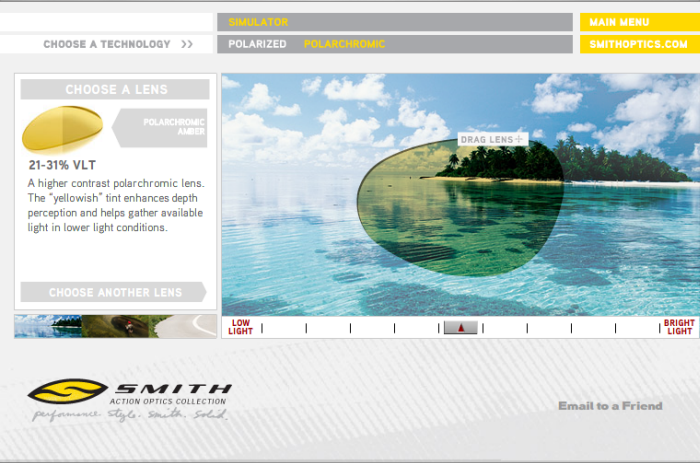 Smith Specialty Fishing Technology Microsite: Choose a Terrain - Microsite and interactive tools to demonstrate the features and benefits of Smith Specialty Fishing Sunglass Technologies. 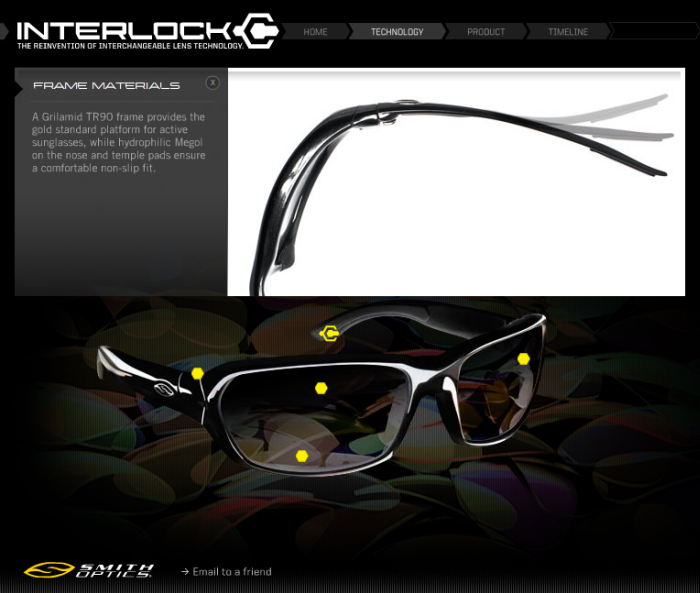 Check it out at www.lookgoodseefish.com. 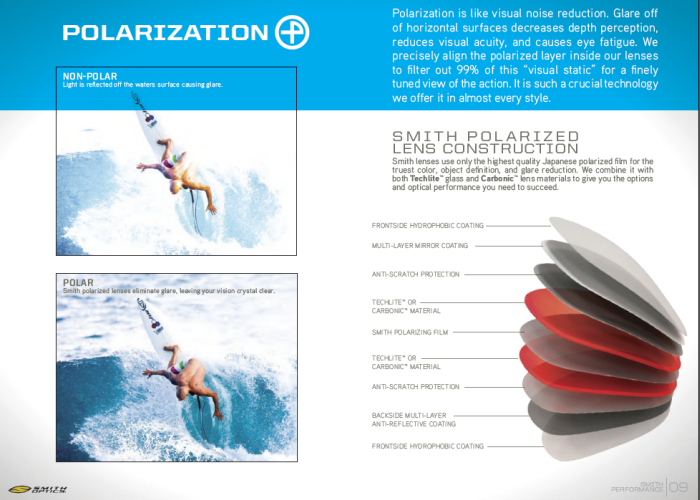 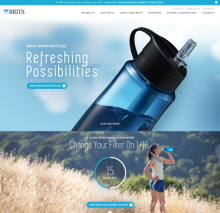 Smith Specialty Fishing Technology Microsite: Polarized Lens - Microsite and interactive tools to demonstrate the features and benefits of Smith Specialty Fishing Sunglass Technologies. 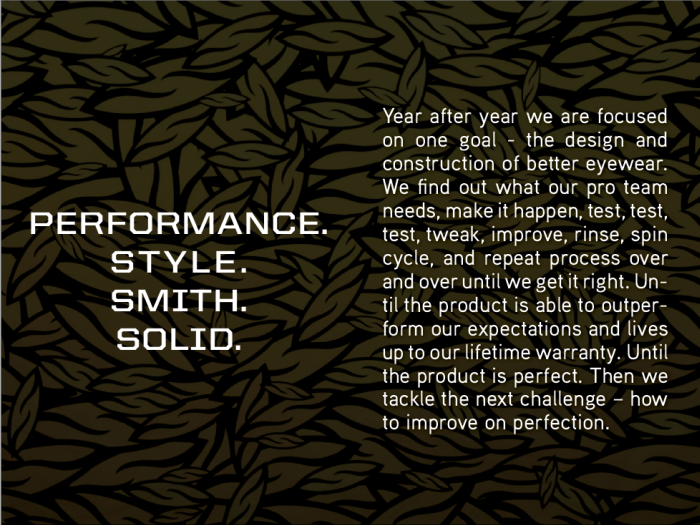 Check it out at www.lookgoodseefish.com. 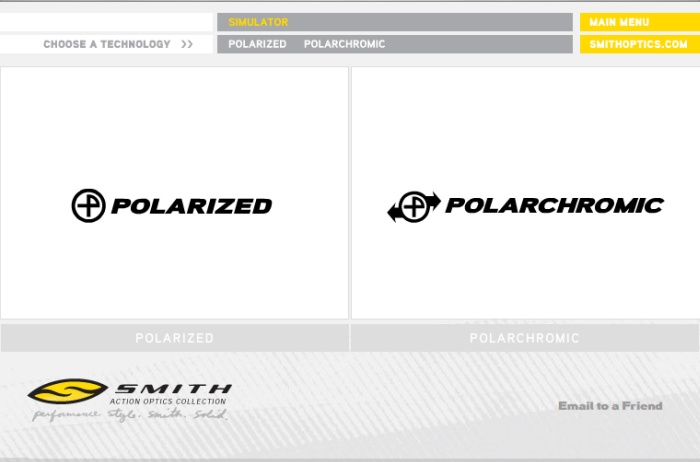 Smith Specialty Fishing Technology Microsite: Polarchromic Lens - Microsite and interactive tools to demonstrate the features and benefits of Smith Specialty Fishing Sunglass Technologies. 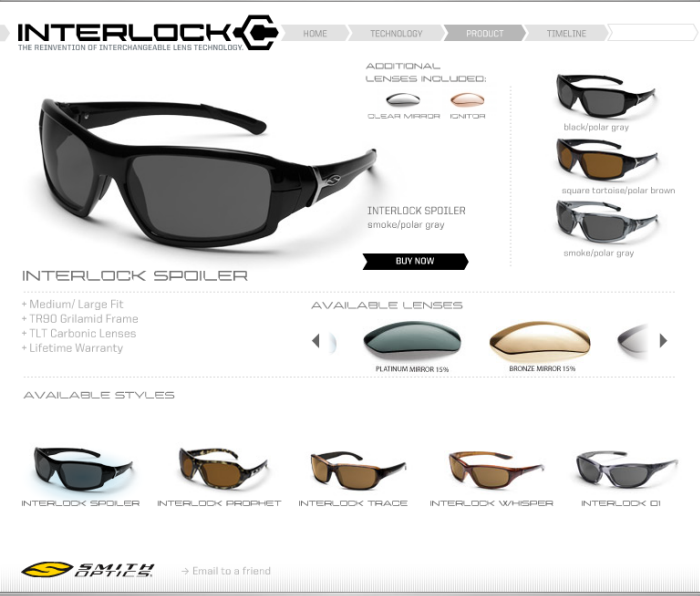 Check it out at www.lookgoodseefish.com.